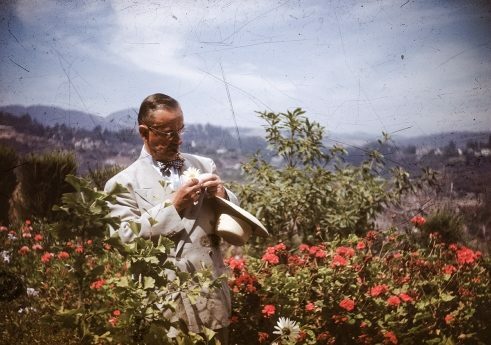 While exiled in California in 1942, Thomas Mann built a house in the Pacific Palisades neighborhood of Los Angeles that for ten years was to become a place of artistic creativity and intellectual exchange among academics, artists and intellectuals. In November 2016, the Federal Foreign Office acquired the house on behalf of the Federal Republic of Germany so that it could be revived as a place of reflection and discussion on common challenges of our time. At the same time, the aim was to preserve the house as a reminder of the Californian exile of the Mann family. The Thomas Mann Fellowships are intended to turn the house once more into a place where debates on fundamental contemporary and future issues relevant to both sides of the Atlantic – and also to the Pacific – are initiated. 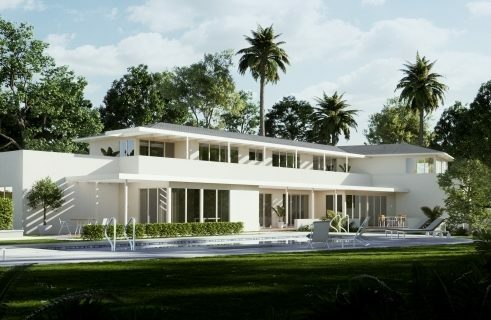 Thomas and Katia Mann’s former home in Los Angeles is to become a residence for cultural professionals and intellectuals. 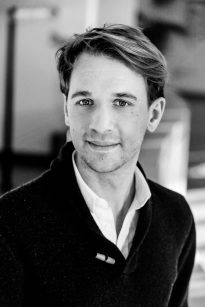 It is in the hands of the “Villa Aurora & Thomas Mann House e.V.”, with the Goethe-Institut’s Nikolai Blaumer as its program director. In our interview, he explains how plans are currently progressing. © loredana la rocca Mr. Blaumer, you are the program director of the Thomas Mann House in Los Angeles. What awaits you there just now? I am greatly looking forward to setting up the program with my colleagues there. The Thomas Mann House is situated in a neighborhood with an impressive intellectual history. Adorno, Horkheimer, Brecht, Eisler, Schönberg, Feuchtwanger – all lived just a few streets from one another and were extraordinarily productive during their time in California. We want to work with this treasure trove of creativity. Nonetheless, the Thomas Mann House is above all supposed to be a place where people can come together to jointly reflect on contemporary societal questions. The topic of exile in Los Angeles, for instance, is not only of interest from a historical viewpoint, but is also highly relevant today. Almost half of the population has Latin American roots, and over ten percent of people living here are of Asian descent. To date, they have only rarely been the focus of cultural programs. This is one of the areas we are keen to address. 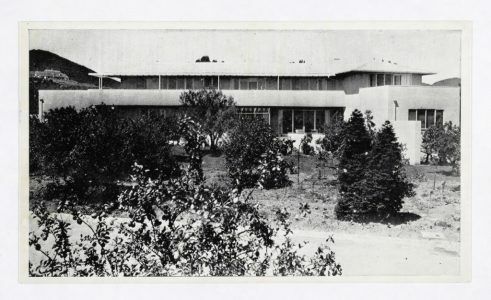 What is the history of the Thomas Mann House? 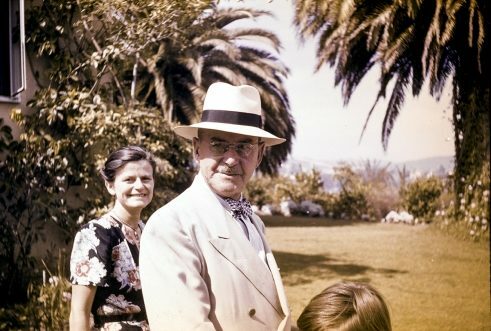 Thomas Mann came to America in 1938. He first spent two years working as a professor in Princeton before settling in Pacific Palisades near Los Angeles. It was during this time that he and his wife Katia had the house on San Remo Drive built. 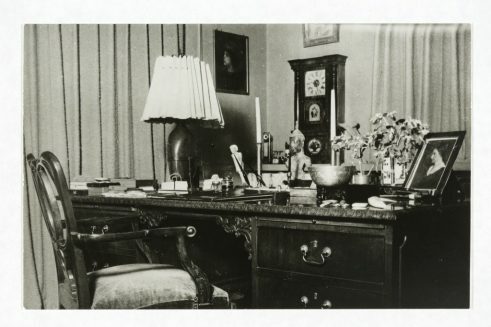 This was where he wrote “Doktor Faustus”, the final volume in his Joseph novels, his “Listen, Germany“ radio broadcasts and other important works. The anti-communist sentiment that prevailed during the McCarthy era prompted Thomas Mann to emigrate to Switzerland in 1953. The house has been privately owned ever since, and for decades remained relatively unchanged. It was acquired the year before last by the German government; the house was completely gutted and rebuilt as a residence center with five apartments. Are there already some thoughts or ideas about the program? The challenge over the next few years will be to find thematic lines and areas of focus that will give the program a more defined profile. The starting point for the opening event in June will be Thomas Mann’s lecture “The Coming Victory of Democracy” that he gave in front of a large audience at the Library of Congress in 1938, as well as at a series of smaller venues all across the United States. In it, Mann talked about the ability of democracies to renew themselves. This kind of “rejuvenation” is something one would like to see on both sides of the Atlantic these days. In Germany and the USA alike, we are experiencing a trend toward societal polarization and economic inequality. Public discourse is under threat from populism and misinformation. Fears of decline are rampant. On the other hand, digital technologies are also offering new opportunities for participation, and there is hope that politics, in general, will become more transparent. California is the right place to discuss these questions with our fellows and other guests. What will everyday life be like for residents? Fellows will spend between three and ten months at the Thomas Mann House. Four have been chosen for this year: the sociologist Jutta Allmendinger, the German studies specialist Heinrich Detering, the actor Burkhardt Klaußner and the physicist Yiannos Manoli. Unlike conventional artist-in-residence programs, where fellows work on the realization of their own projects, cooperation with local partners will be the focus at the Thomas Mann House. A broad spectrum of formats is conceivable, from regular radio broadcasts and readings to lectures, discussions and seminar events with universities. 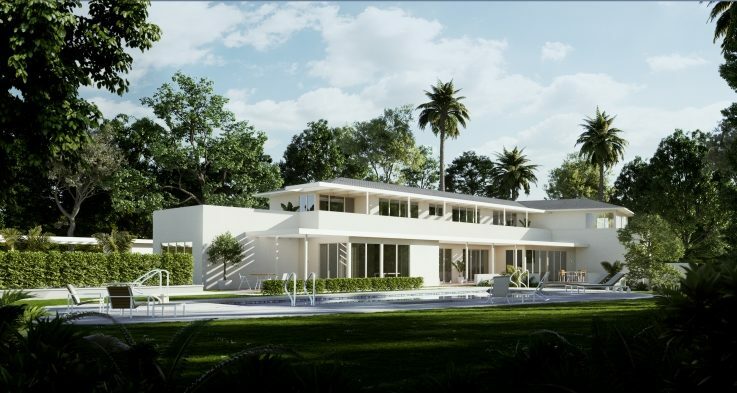 The idea is for the Thomas Mann House to enrich the cultural landscape in California, and we will do everything in our power to ensure that our fellows return to Germany newly inspired and with valuable contacts. The residency program at the Thomas Mann HAUS is funded by the Federal Foreign Office, the Federal Government Commissioner for Culture and the Media, the Berthold Leibinger Stiftung, the Goethe-Institut, the Alfried Krupp von Bohlen und Halbach-Stiftung and the Robert Bosch Stiftung.